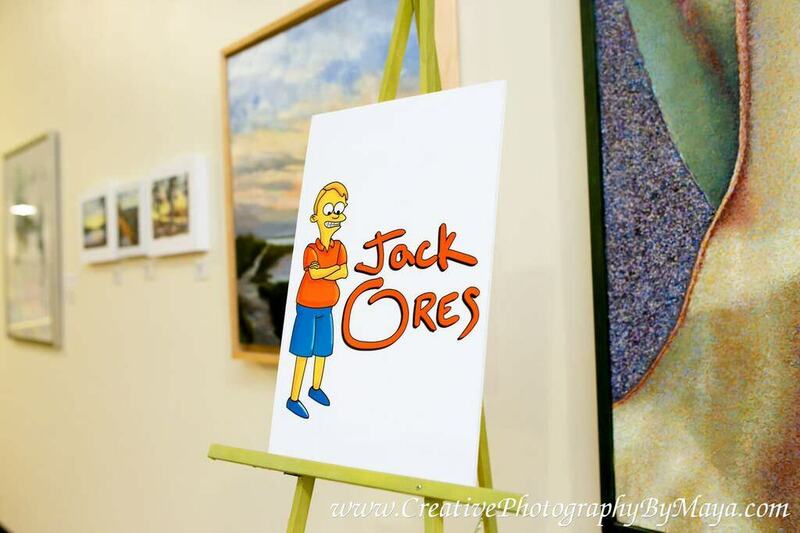 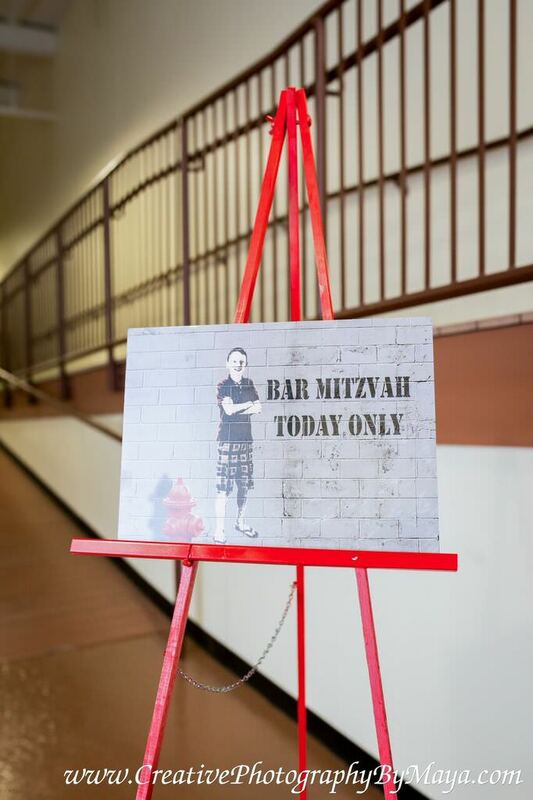 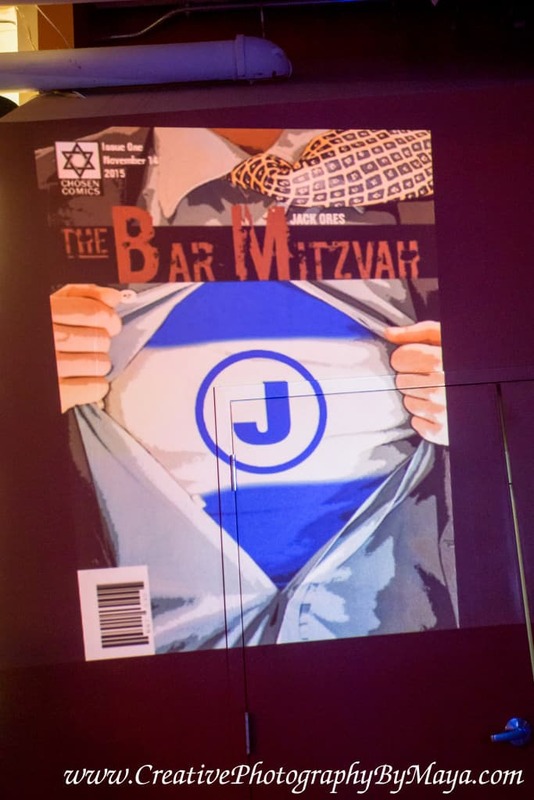 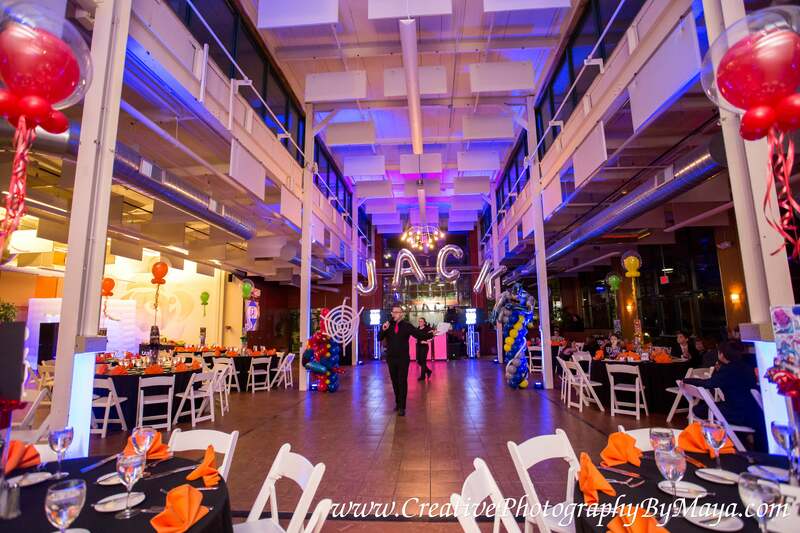 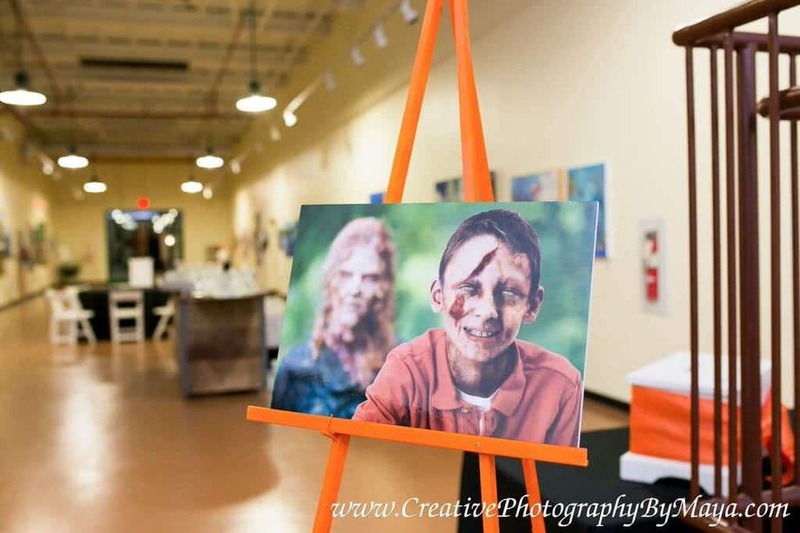 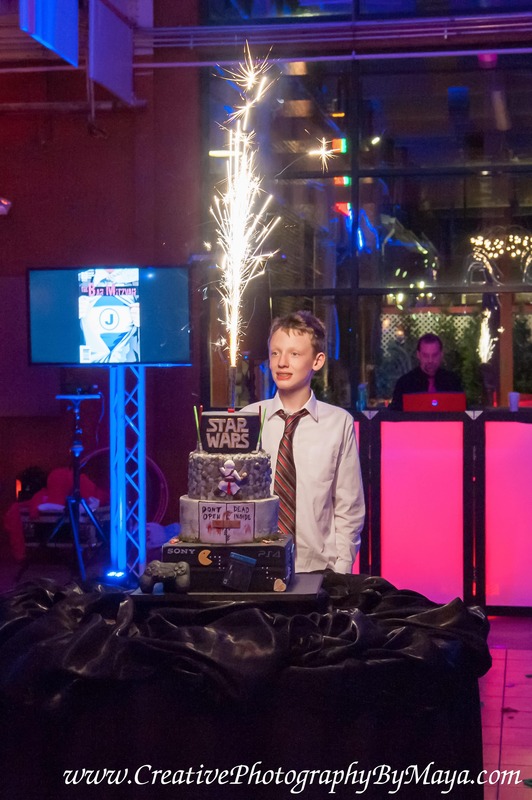 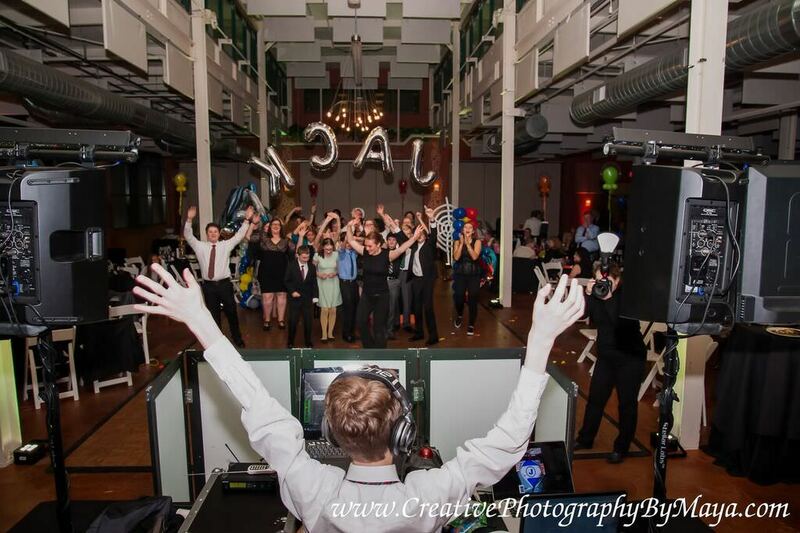 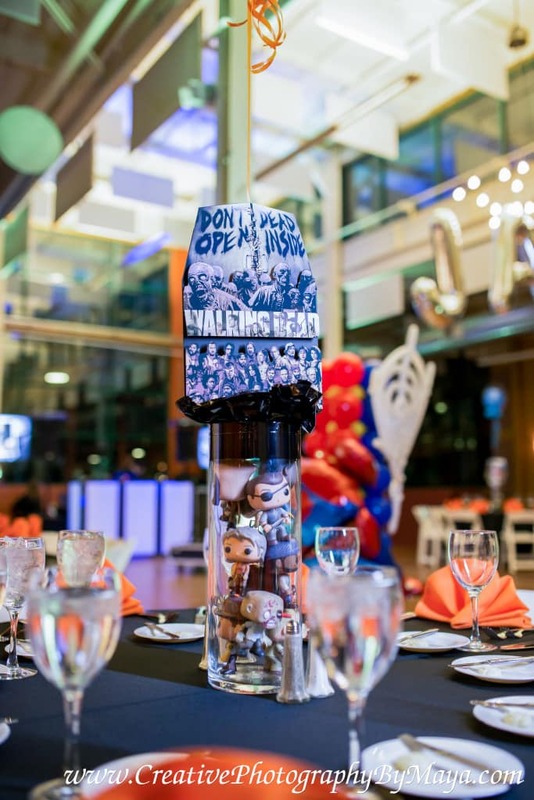 For Jack Ores’ Bar Mitzvah, the theme was “Pop Culture.” The art gallery at Franklin Commons was filled with pictures of Jack as different characters from television shows like The Simpsons and The Walking Dead. 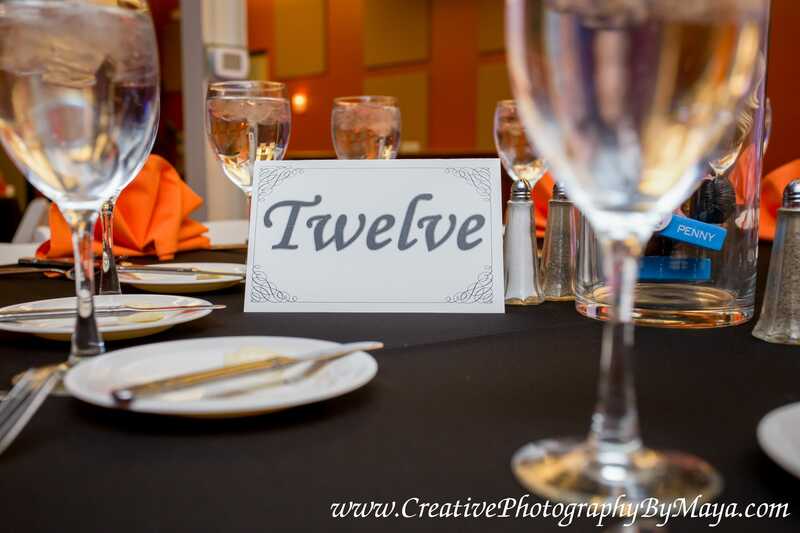 The décor throughout Franklin Hall differed from table to table. 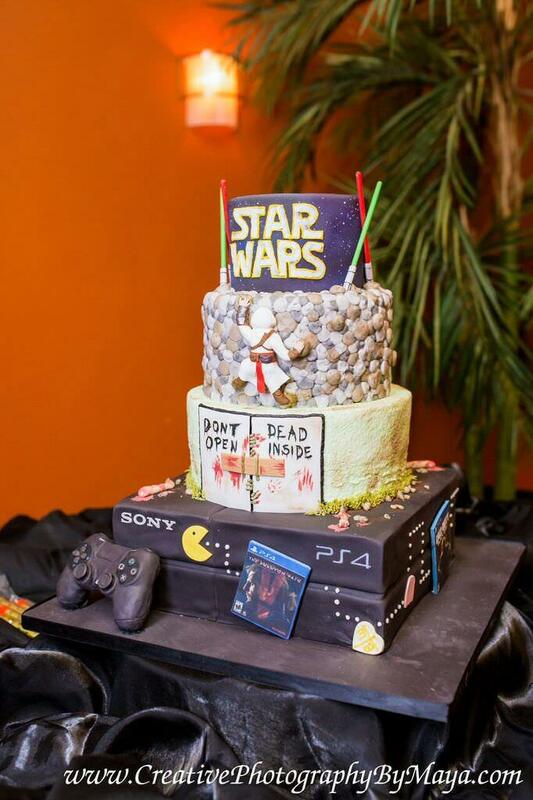 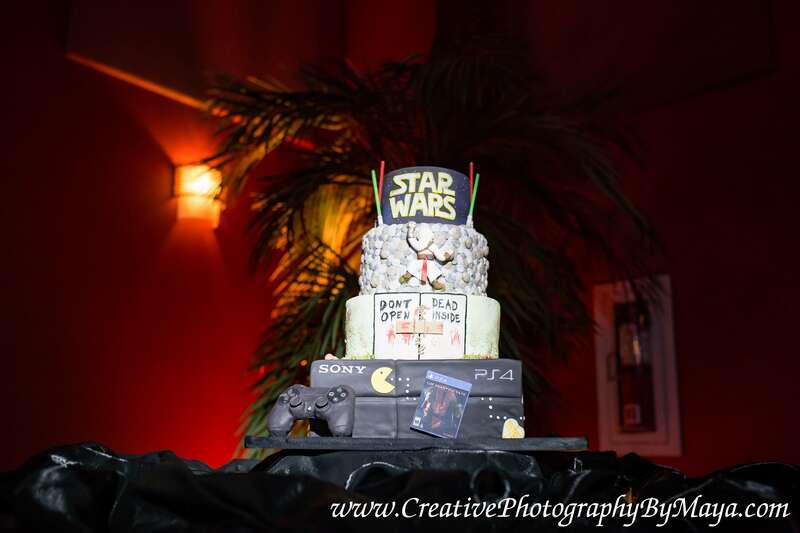 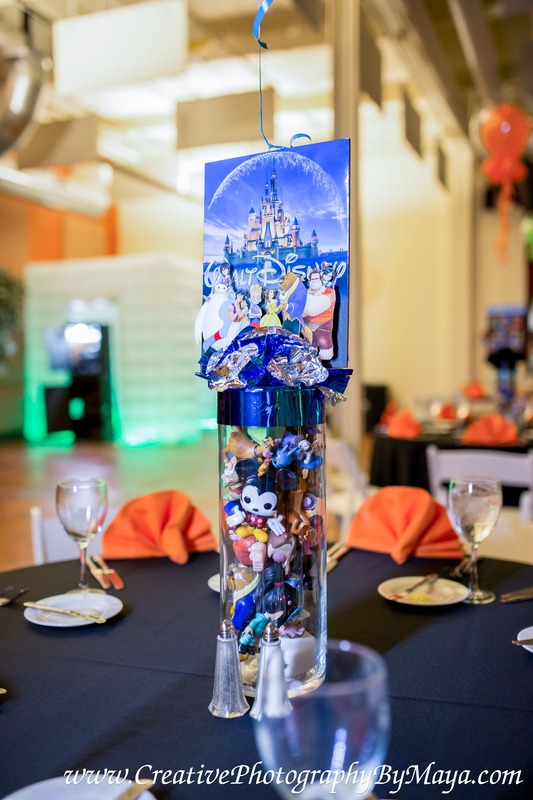 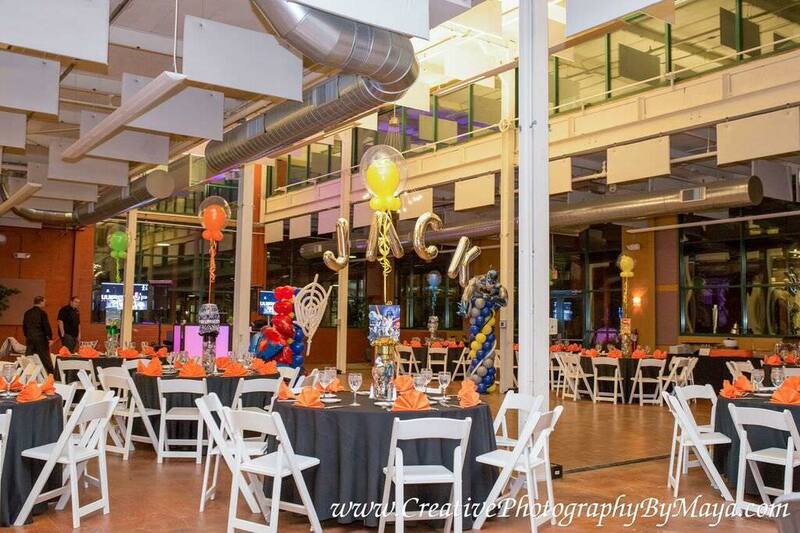 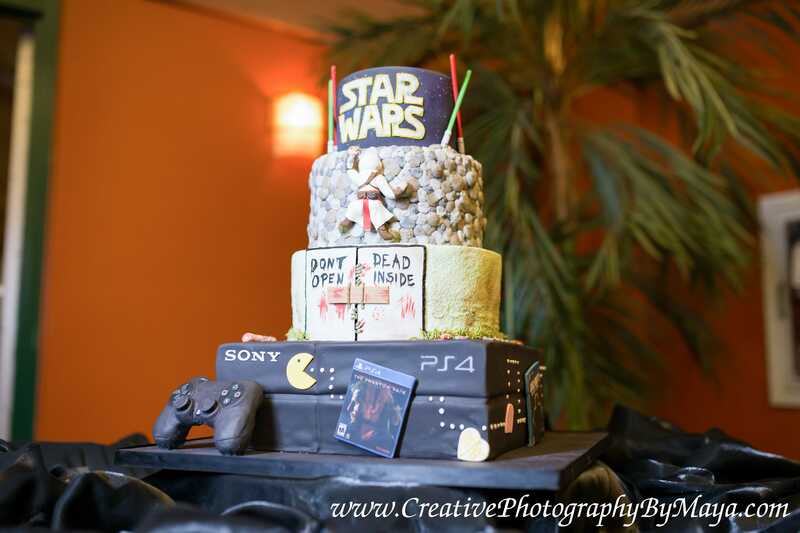 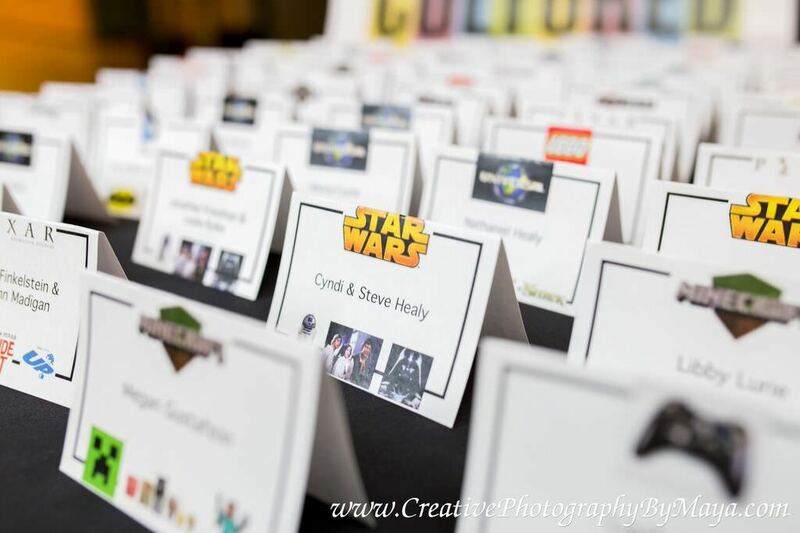 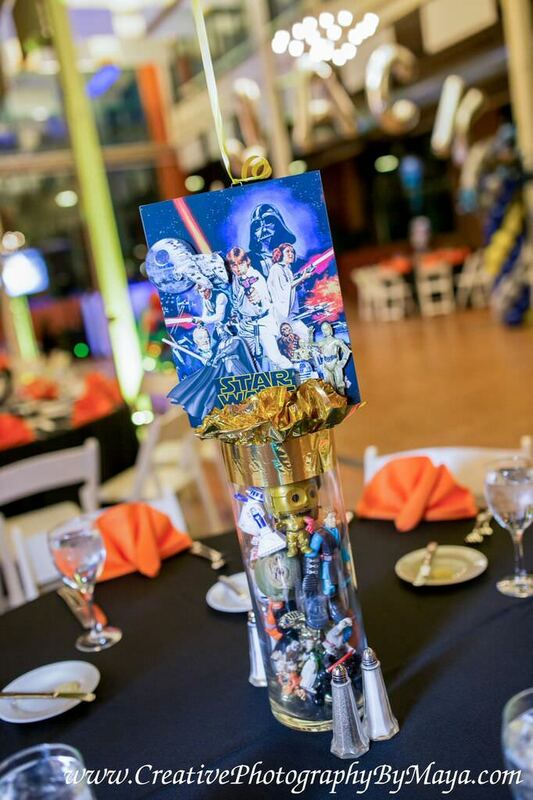 Star Wars, Lego, and Batman were just a few of the awesome themed tables. 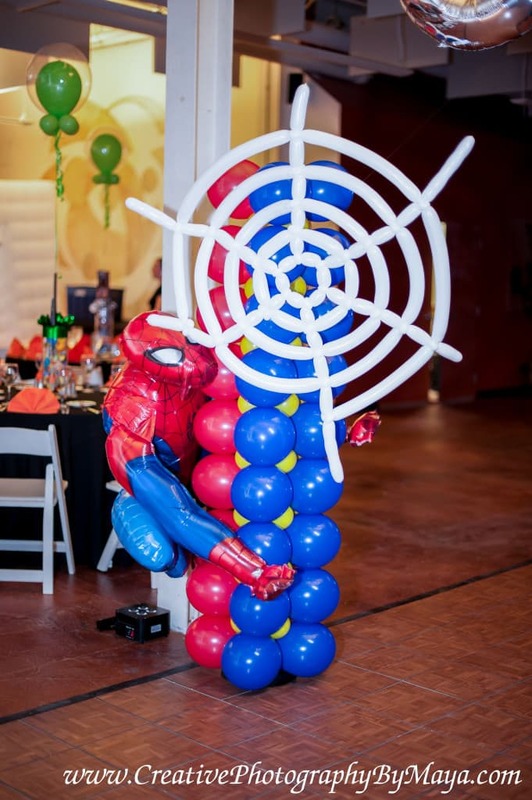 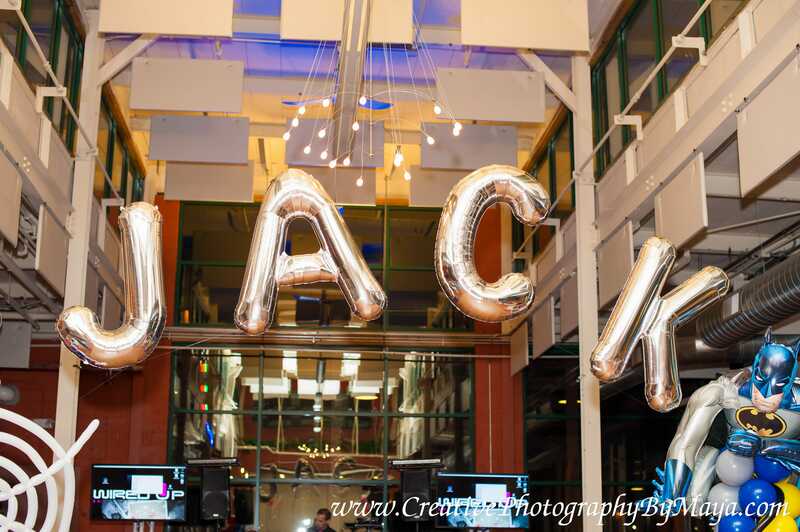 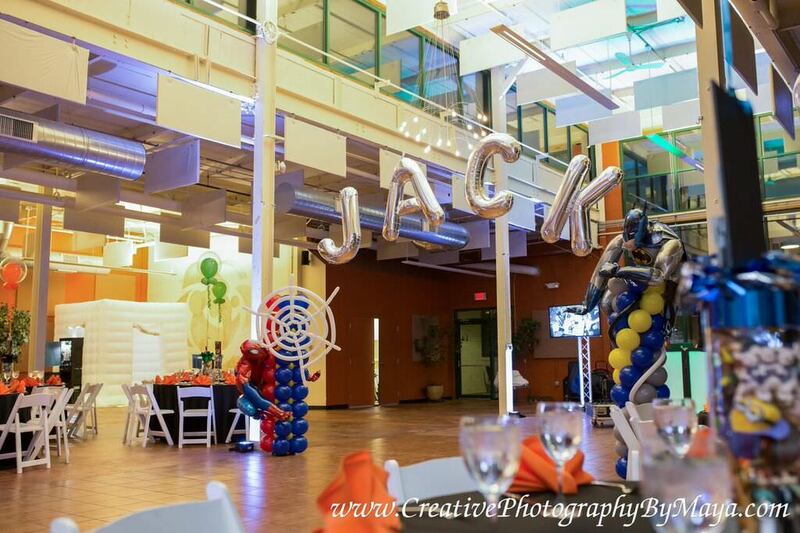 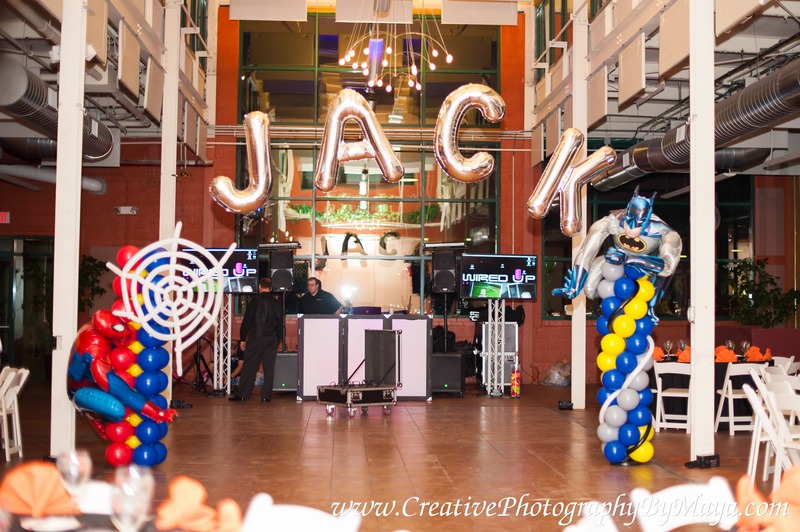 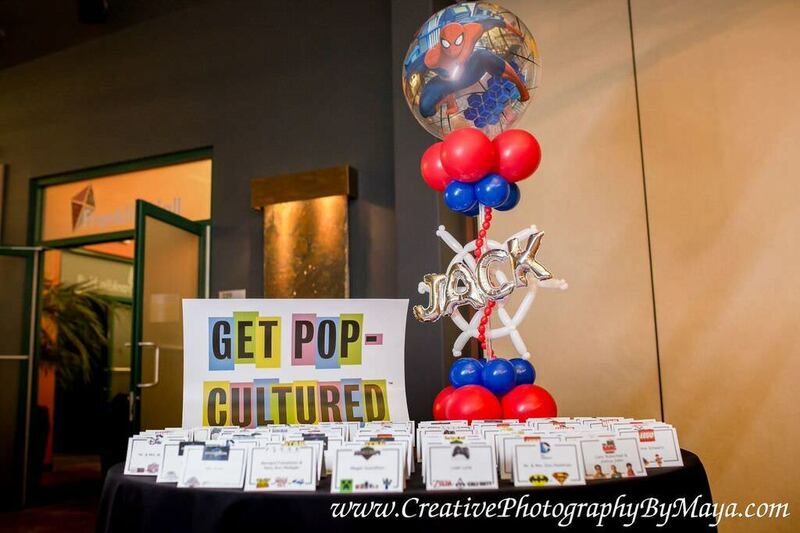 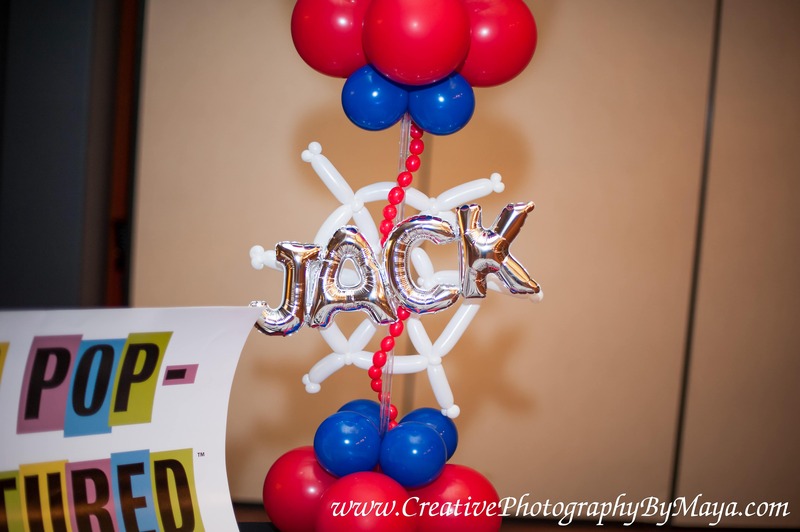 There was a giant balloon arch which spelled out Jack accompanied by a Spiderman & Batman balloon sculptures.